^Pricing shown is for a embroidered lanyard in up to three colours with a metal trigger clip and single safety break. All Prices exclude VAT and Postage. An embroidered lanyard has a lightweight look and feel and is produced using an ultrafine thread which allows for a much finer weave that a standard woven lanyard. 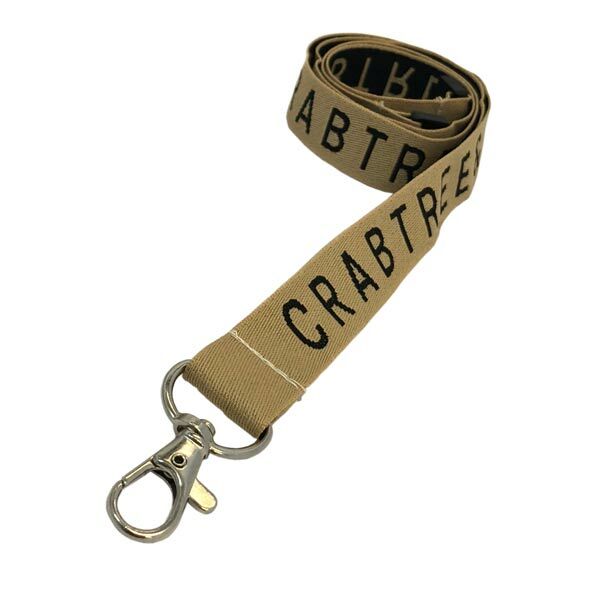 This allows for more detailed designs to be executed on embroidered lanyards in comparison to our standard woven lanyard. ^Pricing shown is for a embroidered lanyard in up to three colours with a metal trigger clip and single safety break.